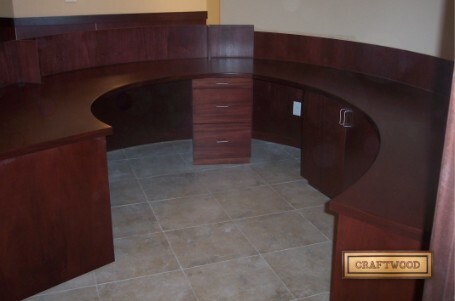 Office Reception Area Custom Desks. 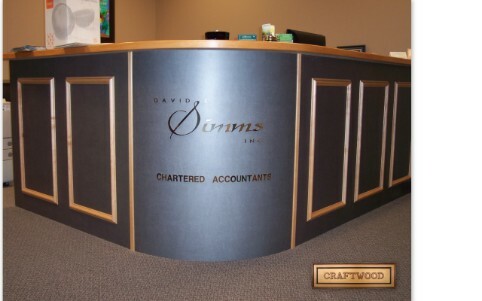 Business Name Display Reception Desk. 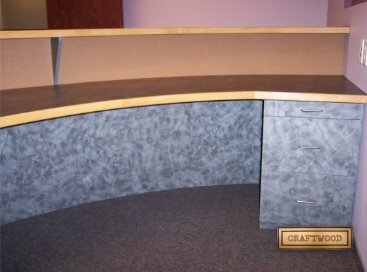 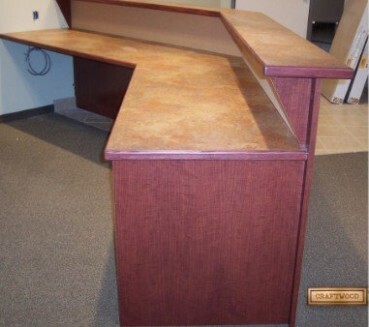 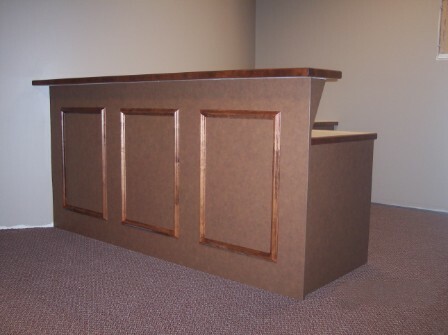 Paneled Laminate Reception Desk set on a Curved Wall. 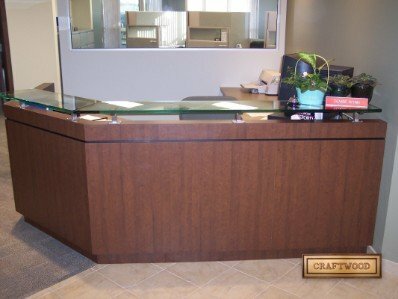 Tapered Face and Angled Reception Desk with a Glass Transaction Top.